How Do Cryotherapy Machines Work? Cryotherapy is an athletic treatment used to shorten recovery time between training and workouts. In each session, athletes enter a cryotherapy machine, where extremely cold air (think Antarctica) is blown over their body for approximately two to three minutes. Nitrogen gas cools the air in the cryotherapy machine, lowering the body’s skin surface temperature by 30-50 degrees Fahrenheit. The cold air and change in skin surface temperature stimulates the body’s sympathetic nervous system, initiates the release of anti-inflammatory molecules and helps to regulate bodily functions. If you’ve ever strained or injured a joint or muscle, your doctor likely advised using an ice pack on the injured area as part of your treatment plan. The reasoning for this is because cold temperature actually increases blood circulation, which results in pain relief and a quicker recovery. Put simply, a cryotherapy machine is just a giant ice pack for your whole body. One of the biggest factors that affect an athlete’s training schedule is inflammation. 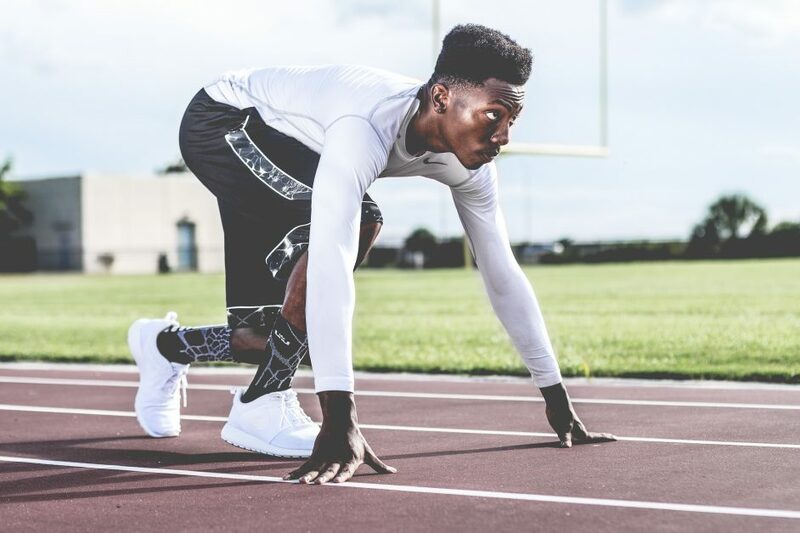 As one of the biggest challenges for athletes, inflammation and soreness can dictate the frequency between workouts, and training without recovery time to treat inflammation can greatly increase the likelihood of injury. When the body reacts to cell and tissue damage, the brain signals the area to start recovery, which generally causes inflammation and pain. Cryotherapy machines work to reduce inflammation by initiating vasoconstriction and vasodilation to minimize the amount of inflammation and pain. With minimized inflammation and pain, the body heals more quickly and you’re able to return to the sport you love at a faster rate. Unlike a traditional ice bath treatment, cryotherapy machines are able to cool the skin’s surface to lower temperatures. Traditional ice baths require athletes to submerge themselves between 15-20 minutes. A typical cryotherapy session, which lasts approximately three minutes, reduces treatment time by 10-20 minutes. For almost all athletes who have experienced them, ice baths are uncomfortable and sometimes even painful. Cryotherapy treatments, on the other hand, generally create less discomfort because of their shortened treatment times. During a cryo session, patients often don’t feel any pain or discomfort whatsoever. Finally, cryotherapy machine sessions aren’t just for professional athletes. While many professional athletes, such as players for the Denver Broncos, frequently use cryotherapy to recover after games and practices (watch Von Miller in a cryo session here), anyone can benefit from a session. In fact, cryotherapy can be used to treat a variety of injuries, as well as general muscle or joint aches. Interested in trying out cryotherapy for yourself? Click here to get your first cryotherapy session for $25!